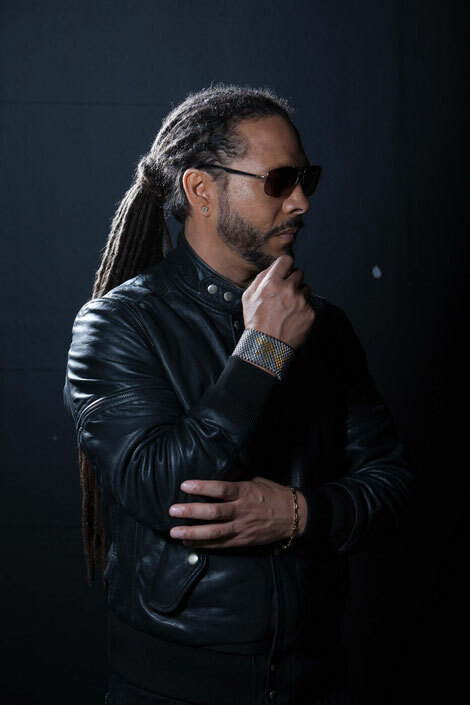 Roni Size recently announced UK tour dates featuring his new audio visual live show, and revealed plans for more shows later this year. Debuting at London’s Oval Space tonight, the new hardware show will also hit Moovin Festival in August, and The Downs Festival and Hospitality In The Park in September. The combined live instrument and hardware show features state of the art production and 3D effect projection mapping in the form of the ‘light box'; and will be the first time Roni has performed the Mercury Prize winning album 'New Forms' as a solo performer. Roni will be playing both originals and remixes from ‘New Forms’, which celebrates its 20th anniversary this year. The Oval Space performance marks his first return to the British capital since apparently selling out the Roundhouse weeks in advance. Roni will be joined by fellow Full Cycle co-founder DJ Krust. Forthcoming UK and European DJ shows for Roni include Glastonbury, Fabric, Greenman, Soundwave, D Festival and many more. US shows will take place from the end of June and throughout July. Roni recently announced a new radio show on Worldwide FM; every first Thursday of the month he’ll curate a six hour Sound System Special focusing on D&B. More details via: http://worldwidefm.net. 2016 was a decent year for Roni Size. Live shows included Ram Records’ NYE show at O2 Academy Brixton, a headline show at the BBC 6 Music festival in February, and a summer festival season that began at Love Saves the Day with a curated Full Cycle Stage Takeover for Arcadia Afterburner, and included Secret Garden Party, Evolution, Glastonbury (Glade headline performance), Blissfields, NASS, EDC, Dour, Boomtown, Frequency, Lowlands, Creamfields, SW4, Outlook, and many more. Roni relaunched Full Cycle Records with fellow co-founder, DJ Krust. The label’s return in February coincided with a spring tour including shows at the BBC 6 Music Festival Rampage, Band On The Wall, Village Underground and a 9 date North American Tour, with shows in Toronto, Washington DC, San Francisco, Los Angeles and more.